I just watched a review of the Azuma and it’s AP penetration came up. I’ve been to wowsft and have found that at 10km it has 202mm penetration! The Zao has a fair bit more than that at 15km. I notice also that it has a 2.00 sigma, a first for t9+ cruisers? If these stats are final they may as well get rid of the AP entirely! Yes it has crap AP but im pretty sure it has at least Stalingrad dispersion if not better. I've watched many test games with it. Just went back and it does say that. Not sure what I did, I was looking on my phone. At 10km it's 448mm vertical plate (or 96mm horizontal deck) pen. Vertical is the one that counts as you'd bounce on the deck anyway. I found a error in Azuma stats... for some reason I cant find any source mentioning what torps it has. Im pretty sure its a bug or something... I mean why would a game designer give up the chance to give a premium unique flavour? Ah, I can explain that. They're actually testing the new teleporting ram consumable. 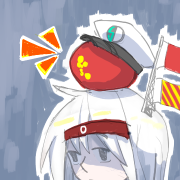 You see, the Azuma has a torpedo. She is THE torpedo, with the ability to make herself invincible as well as increasing her cruise speed to 200 knots as she rams enemy ships. I'm not sure why this hasn't been mentioned yet, I'll pass word along to Mr. Conway immediately. Ceterum censeo these numbers are not "statistics". Please try not to cement WG's translation errors.